20-25mm Pillar Drill Machine – Manwani Machines, Pvt, Ltd.
Parts finished with the help of Imported Grinding Machine. All moving components are finished till close tolerance. Main gear and pulley are checked for proper balance prior to assembly. We offer a wide range 13-20-25mm pillar drill machine. This tool is used for drilling operations. It is basically designed to bore holes in different materials. Our devices are sturdy, reliable, economical and durable. They are produced using superior quality material to assure simple operation, low maintenance and high performance. 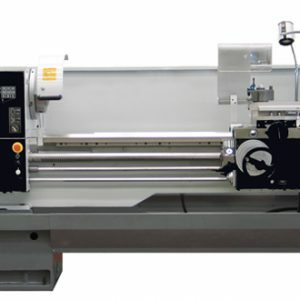 We supply boring machines that feature lower noise and reduced vibrations. Our tools are built using advanced technology for better efficiency and higher precision. They are designed according to the industry standards and general specifications. Various models are available that provide convenience and versatility. Drilling machines are commonly used in many industries. This is a versatile drill that can be applied for variety of boring applications. We present four models which are featured with different hole making capacities. This has been designed to perform basic kinds of hole operations on variety of work materials and when it comes to construction, this remain one of the reliable, cost effective and sturdy machining tools. We have made used of higher quality materials for constructing and to obtain easier operation but high performance at relatively low maintenance. It is also preferred for low noise and less vibration aspects. Our design engineers have applied advanced technology to bring in more efficiency and accuracy in machining aspects and every model is designed to match industrial standards. Our devices are applied in variety of industries which requires vibration free and less maintenance drilling operations.